Here’s the latest from ReplicaBuildings.com. At ReplicaBuildings.com, we are a family-owned business dedicated to providing our customers with the highest quality scale models of iconic buildings and structures the world over. Likewise, we’re committed to providing you with the very best customer experience possible. Beginning in 2015, we’ll be distributing a new monthly e-newsletter, keeping you abreast of the latest news and product offerings from ReplicaBuildings.com. 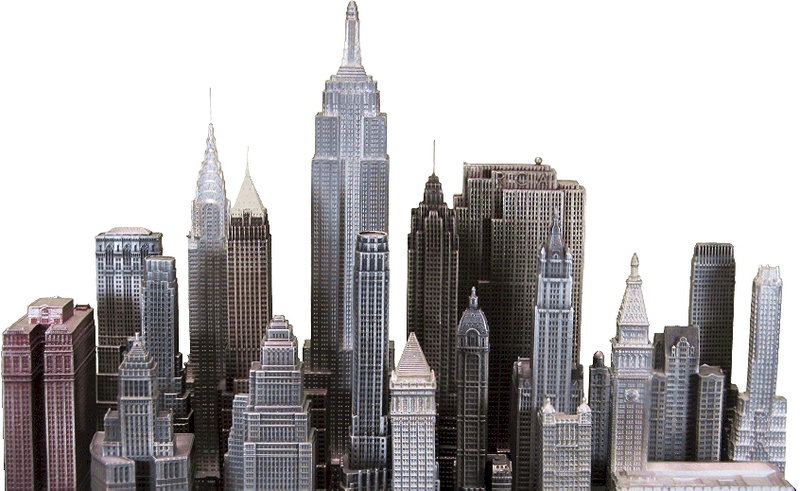 You may be interested to know that we have created over 800 unique replica models available for purchase in our exhaustive online catalog, including skyscrapers, churches, houses, department stores, landmarks, monuments, government and office buildings, residential towers, schools, college buildings, factories, World’s Fair pavilions, skylines, towers, train stations, and bridges. Some of the many architectural styles we have covered include: Egyptian, Classical, Gothic, Colonial, Jeffersonian, Victorian, Beau Arts, Chicago School, Art Nouveau, Prairie Style, Italian Renaissance, Art Deco, Streamline Modern, Futurist, Expressionist, Bauhaus, International, Postmodern, and Green. Be sure to visit us online, and thank you for your business. The City of Houston, Texas, is home to an array of award-winning and historic architecture, and ReplicaBuildings.com is now proud to offer our customers Houston’s very own Gulf Building and Esperson Building. The Gulf Building (left) is situated in the heart of downtown Houston, at 712 Main Street. This 36-story Art Deco skyscraper was completed in 1929 and towers 428 feet over the city below. It was designed by three architects, Alfred C. Finn, Kenneth Franzheim, and J.E.R. 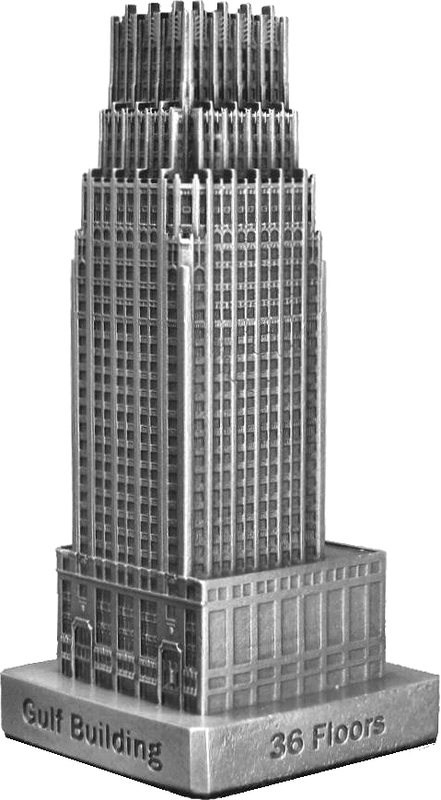 Carpenter, and was inspired by Eliel Saarinen’s unbuilt concept for the Chicago Tribune Tower in Chicago, IL. 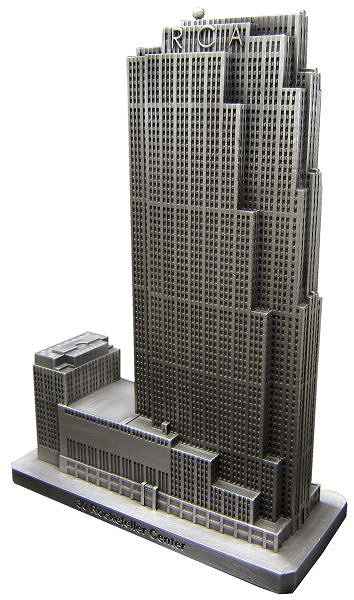 Our handsome pewter replica of the Gulf Building is available in two sizes: 4-11/16 inches (1″=100′) and 3-3/4 inches (1″=150′). Also found downtown, the historic Esperson Building (right), located at 808 Travis Street, is Houston’s only lasting example of Italian Renaissance architecture. Completed in 1927, this 410-foot, 32-story landmark was designed by John Eberson, a Romanian-born architect who is best known for creating some of the most ornate and iconic movie theaters in cities across the United States during the first half of the 20th Century. 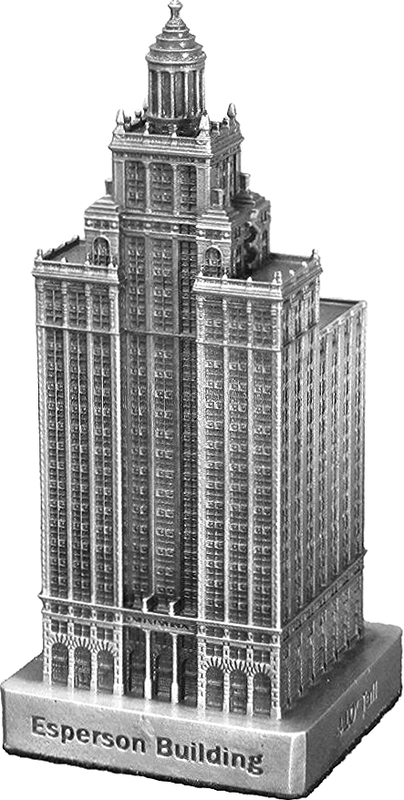 Our elaborately detailed pewter replica of the Esperson Building is available in two sizes: 4-1/2 inches (1″=100′) and 3-1/8 inches (1″=150′).